My bathroom is filled with Lush's products. Soaps, shower gels, hair products, body butters, etc. you name it. The most recent addition to my shower is their "Turkish Delight" and I highly recommend it. At first I thought it was a soap, but later after using it, it didn't feel soapy or the type of thing that forms a lather. So I started using it after shower gel/soap as a skin smoothner. It not only smells good, but you really feel good after that. The scent lasts for hours. 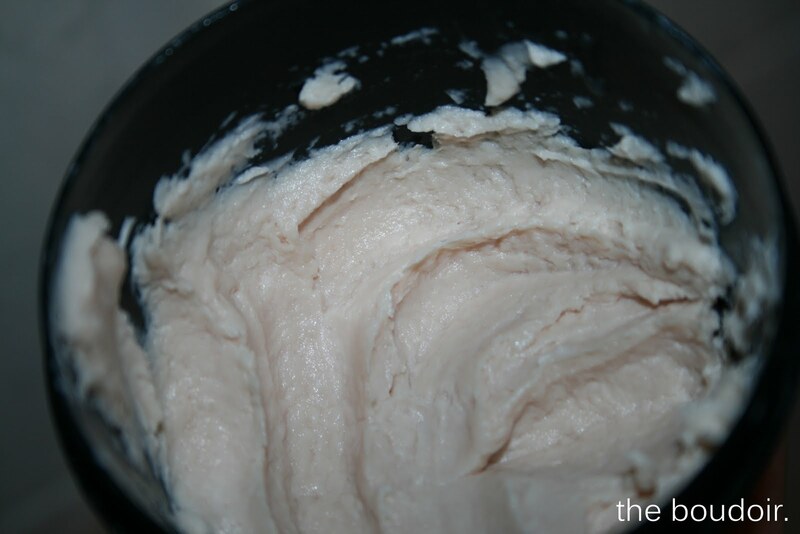 This smoothie body polish contains roses (and thats how the product got its name), jasmine, neroli, oil, and cocoa butter. I used to haul it from the UK with me before their opening in Kuwait. My favorite is the Xmas special Snow Fairy that smells like bubble gum...I buy bottles and bottles of it! I have to try this one though, never did before! I should defiantly try it out! I can't stay in the shop more than 5mins from the strong soap scents, but I do need an new body wash.
danderma do they have this xmas special here though?